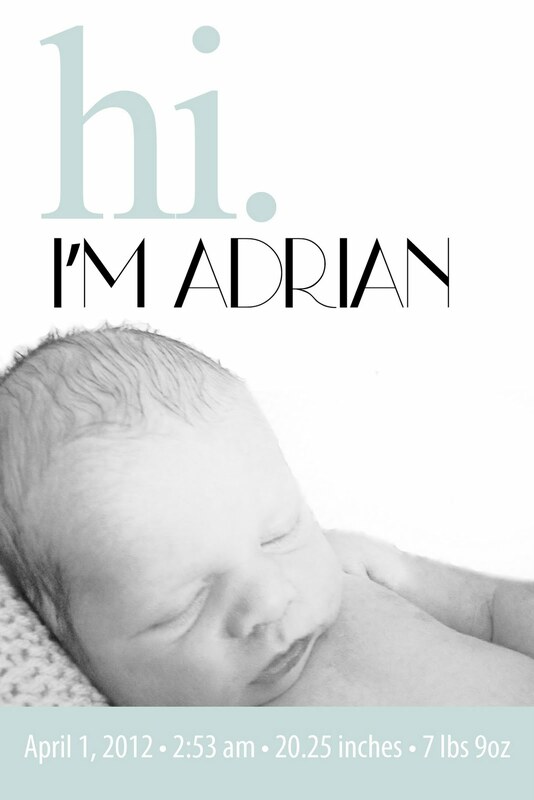 Adrian is a little over a month now, but I thought I would share his birth announcement with you. With the help of Jenna this was my first Print project in Photoshop. It was so fun to be part of the process and work on something so special. I'm currently working on a poster for Adelle's side of the room and I'll hopefully be sharing it with you sometime next week!